(Bloomberg) -- Ten days ago, a secret meeting took place between leaders of the warring factions in Theresa May’s Conservative party. The aim was to broker a truce that would give her a Brexit deal she can get through the U.K. Parliament. 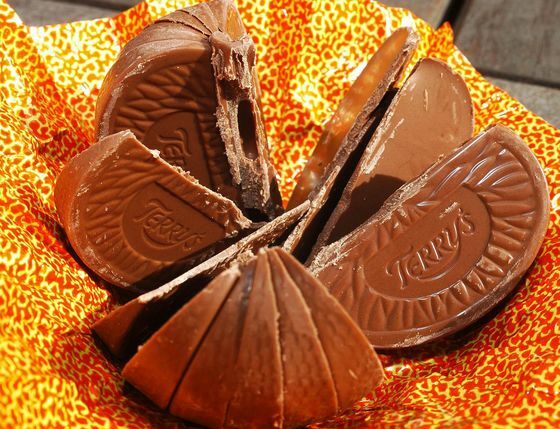 According to two of the people involved, the rival sides learned to work together with the help of chocolate -- specifically, Terry’s Chocolate Oranges. These orange-shaped chocolate balls contain 20 segments and are perfect for sharing. It obviously worked. The proposal evolved over several further meetings and won widespread support inside the Tories. On Tuesday, May herself promised to work with the authors of the so-called Malthouse Plan on the way forward. Ironically, while Terry’s was originally a British business, it is now owned by a French company, Carambar.